At Steinger, Iscoe & Greene, we provide high-quality legal representation to auto accident victims throughout South Florida. With offices in Coral Gables and five other cities across the state, our law firm compassionately represents our clients' best interests. Since 1997, we have helped more than 18,000 personal injury victims obtain the full compensation they deserve under Florida law. We serve Florida residents and out-of-state clients who have been seriously injured due to the negligent or wrongful acts of others. That can include reckless drivers, companies who employ negligent drivers and companies who manufacture defective auto parts. If you or a loved one has been injured in an auto accident or suffered any other personal injury, it is important to consult with a lawyer as soon as possible. 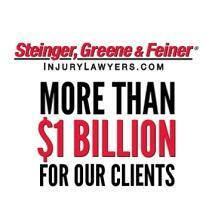 Initial consultations at Steinger, Iscoe & Greene are always free. You pay us nothing unless we get money for you — that's our No Fee Guarantee®. Our law firm is composed of nearly 30 lawyers and more than 100 professional legal staff members across South Florida. We serve the immediate needs of our clients personally. We leverage resources and finance cases to the extent necessary to provide comprehensive representation to auto accident victims and their families. Your recovery is our priority. According to the Insurance Research Council, injury victims who consult with a lawyer get 40 percent more money on average than those who don't. The same study found that auto accident victims who hire a lawyer receive 3.5 times more money on average than those who don't. We provide personalized, responsive and attentive service to our clients 24/7/365. Our lawyers fight for your maximum compensation involving medical bills, property damage, lost wages, rehabilitation, pain and suffering, long-term care, disability and more. We handle all legal aspects and all communications with insurance companies in your best interests. Insurance companies — even your own insurance company — often don't work in your best interests in a serious accident situation. By denying your claim or offering you an initial settlement offer of less than what you deserve, they hope you go away and their assets will remain protected. Don't let them take advantage of you. Get the representation that you deserve. We will work tirelessly to maximize your compensation, holding responsible parties accountable for your injury.